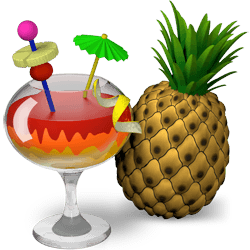 This tutorial is going to show beginners how to install the popular handbrake video transcoder in Ubuntu 13.10 Saucy while the PPA is not ready. 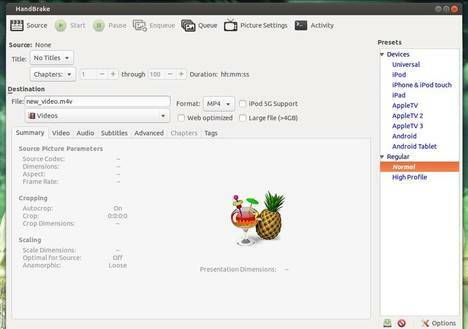 HandBrake is a general-purpose, free, open-source, cross-platform, multithreaded video transcoder software application. It’s available in its PPA for Ubuntu 13.04 Raring, Ubuntu 12.10 Quantal, Ubuntu 12.04 Precise, Ubuntu 11.10 Oneiric and their derivatives. 1. Download the deb for Raring. Check 32-bit or 64-bit by top-right shutdown menu -> About This Computer. No need to force anything. Just “sudo dpkg -i” the package(s) and read the resulting error message to see that (in my case) gstreamer1.0-pulseaudio is missing. Install the missing package and viola, the broken packages install. I am new to Ubuntu and these direction don’t make any sense to me. Maybe someone can explain this in terms a life long windows user can understand. The step 1: command wget package_url will download the .deb package. You can paste the url into your browser to download the package. In Ubuntu, Linux Mint and their derivatives, .deb packages equal to Windows EXE packages. Step 2 will install the .deb package. We can also double-click to install it via auto pop-up Ubuntu Software Center. Step 3 will fix any dependencies problem. Use the graphical tool Gdebi, available in Ubuntu Software Center, will install the .deb and automatically fix dependencies. Actually a .deb file is like a self extracting zip file not your regular Win .exe file. Most exe’s aren’t compressed storage files that will decompress but are applications/programs. .bin are closer to Windows .exe files. As .sh are close to .bat files. Not trying to pee in your corn flakes…. Thank you! It worked perfectly in my Ubuntu 13.10 (64-bit). Step 3, “fix the dependency problem”, is actually nonsense that does nothing. Just thought you might want to know that. Thanks for the wget, though. Thanks Ji M – worked great, now I can watch my Uni course lectures on the plane over to the USA tomorrow. This method should include md5sum verification before step 2. -which doesn’t list the version downloaded. On Ubuntu 13.10, the 32 and 64-bit suggested commands fail miserably due to invalid certificates! Connecting to launchpad.net (launchpad.net)|91.189.89.222|:443… connected. To connect to launchpad.net insecurely, use `–no-check-certificate’. FYI, like DaVince, my computer did not have any dependency problems to fix in step 3. I wouldn’t be surprised if some computers still need step 3, though.